A popular Blackpool nightclub could face suspension or closure following a council licencing hearing. Flamingo, on Queen Street, is said by police to have stayed open beyond its licenced hours, not had enough door staff, served drinks nine minutes after the bars should have closed, and allowed people to take drinks in from neighbouring nightclub, Buzz. 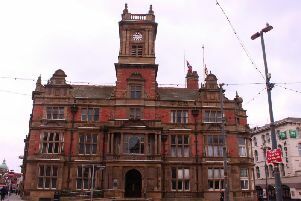 A licencing hearing at Blackpool Town Hall on Tuesday heard how the nightclub had to obtain temporary event notices from Blackpool Council in order to stay open until 6am, however, these were not in place throughout 2018. It also heard that on two occasions police had entered the nightclub, owned by businessman Basil Newby MBE, and saw that there was not enough door staff on duty. Sgt Helen Parkinson, who visited Flamingo on the morning of April 17, said: “There was 178 people in Flamingo at that time. There were two door supervisors at the end of the night. One came on at midnight and one came on at 3am. She also said she attended the club on December 3 just after 5am and witnessed a member of staff pouring a pint at around 5.09am, shortly after he had been told by a manager to close the bar. Officers also voiced concerns about crime and disorder in the Dickson Road area, and called the management at the club ‘chaotic’. Sgt Parkinson said that between August 2017 and April 2018 there had been 309 incidents in the Dickson Road area between 2am and 7am, 30 of which were ‘directly linked’ to Flamingo. CCTV was played showing a large group of people emerging from Queen Street onto Dickson Road, fighting and causing passing cars to swerve around them. However, Funny Girls barrister Sarah Clover said only ‘two or three’ of these 30 incidents took place inside the club, and that many of them made no mention of Flamingo at all. She pointed out some of the reports made reference to other pubs and shops in the area, such as Ma Kelly’s and Booze Busters. Mr Newby said he believed the temporary licencing notices had been sorted out by a manager who had been working at the club for eight years, who has since left the position. Speaking after the hearing, he said: “I think it’s very sad that after being in the town for 30 years that I’m being targeted like this and made to sound like I don’t know how to run a business. The outcome of the hearing is expected to be announced later this week.